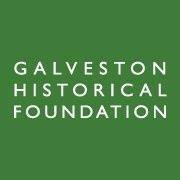 Please start my membership to the Galveston Historical Foundation! GHF is one of the nation’s largest and most dynamic local preservation organizations. Please note: A family can include up to two heads of household and all children under the age of 19 who live within the household. Any time members with family memberships attend GHF properties or functions, they need to have their GHF membership cards in hand in order to receive their membership discount. Terms & Conditions: Your membership will be valid for 1 year from today. Your card will be charged immediately. Please enter name(s) you would like on your card. For multi-person memberships, please enter all names applicable.